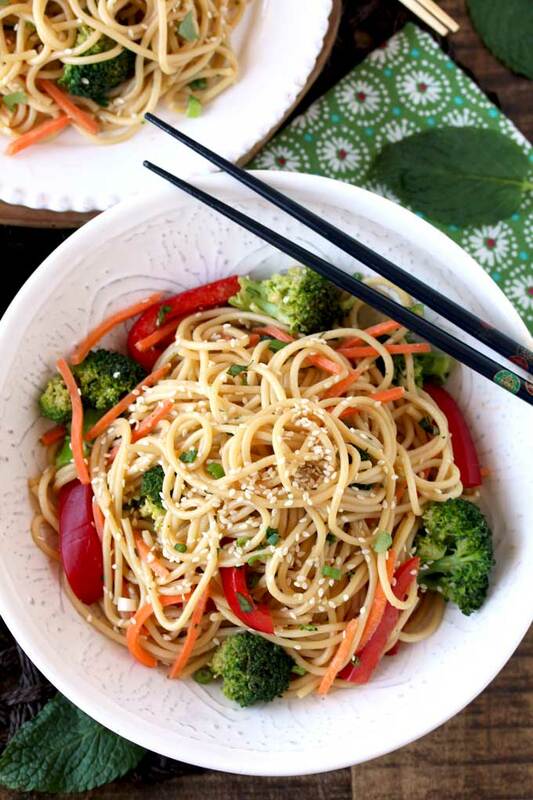 These quick and easy Asian Peanut Sesame Noodles are made in 25 minutes! 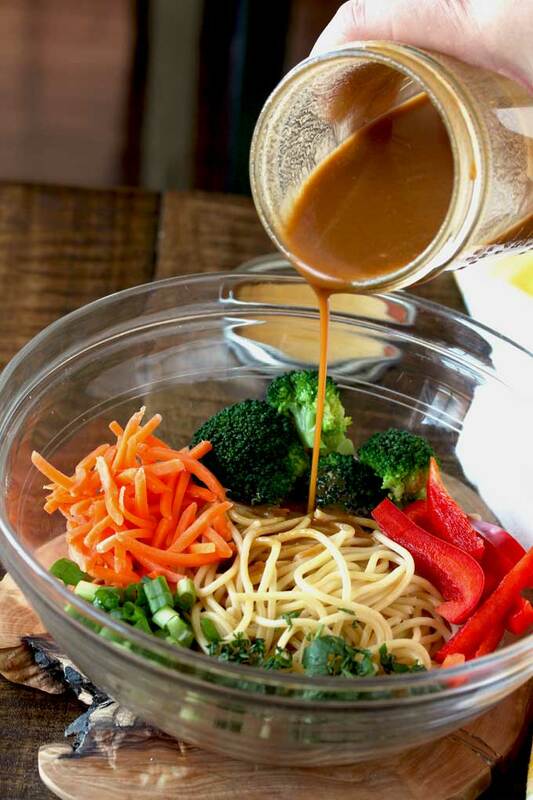 Noodles, veggies and fresh herbs are tossed in the most delicious and creamy peanut sesame dressing. Perfect served hot, at room temperature or cold. 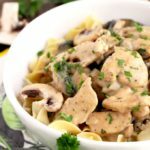 Definitely a meal you will make over and over again! 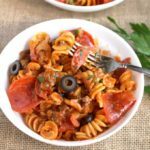 This week, a few of my blogger friends and I are celebrating the Winter Games by making delicious dishes from different countries participating in this exciting event. You can find recipes for today’s participants at the bottom of this post! These Asian Noodles proudly represent China. Trust me they are deliciously addictive! My love for Asian food runs deep, you can create the most balanced flavors even with a handful of ingredients, like in this Asian Butter Salmon in Foil Packets!! 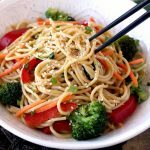 You can use Soba or spaghetti noodles. Choose a gluten free variety of spaghetti noodles if you are following a gluten free lifestyle. Unless you can find buckwheat flour only Soba noodles, most soba noodles contain gluten. Make the creamy sesame dressing. I put all the ingredients in a lidded jar and shake away! Have your vegetables and herbs ready to go! 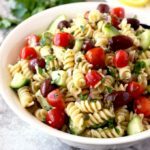 This recipe is so quick that you want to have everything prep before you start cooking the noodles. Cook the noodles according to the package directions. A minute before the noodles are done, add the broccoli to the pasta pot. This will quickly blanch the broccoli and set their beautiful green color. This step is optional but recommended. 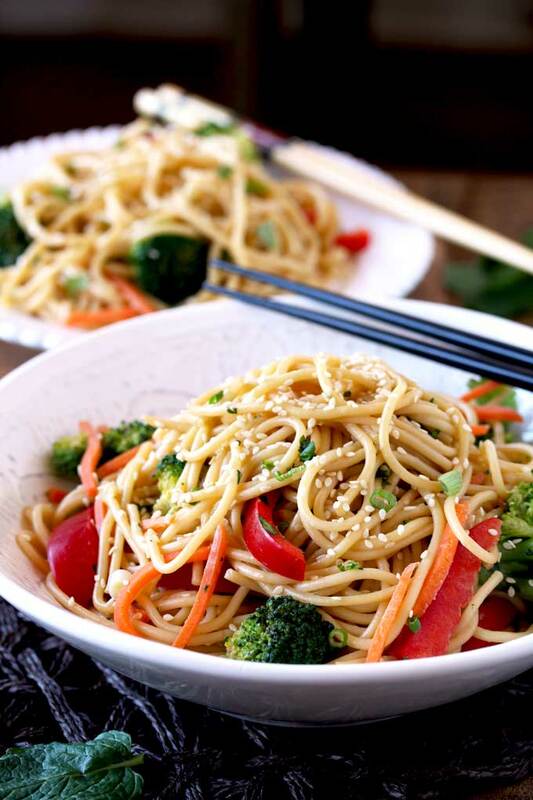 Toss the noodles with the dressing, add the veggies and herbs and sprinkle with sesame seeds. Serve! Hate cilantro? Use basil or parsley instead! Take a look at these delicious Winter Game Recipes from my friends! 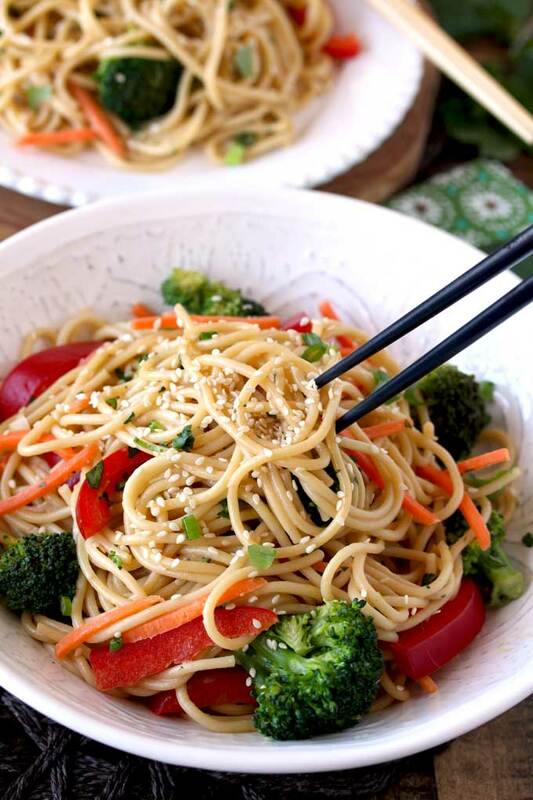 WANT TO TRY THESE ASIAN PEANUT SESAME NOODLES? PIN IT TO YOUR MAIN DISH OR ASIAN FOODS BOARD!! Place all the ingredients in a jar, close the lid and shake! 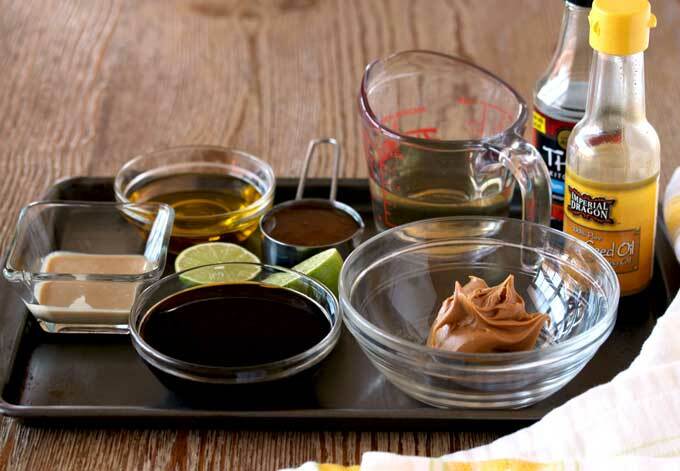 or combine all the ingredients in a bowl and whisk until the mixture is smooth. Cook the noodles according to package directions. During the last minute of cooking, add the broccoli florets. Drain the pasta and broccoli and place them in a large bowl. 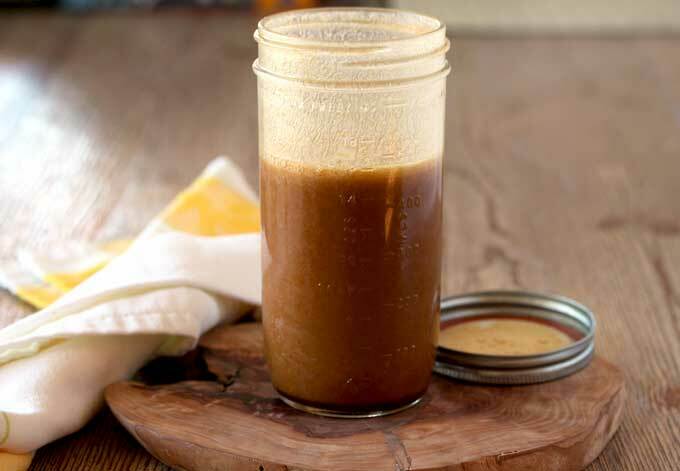 While the pasta/broccoli are still warm, toss with the dressing. 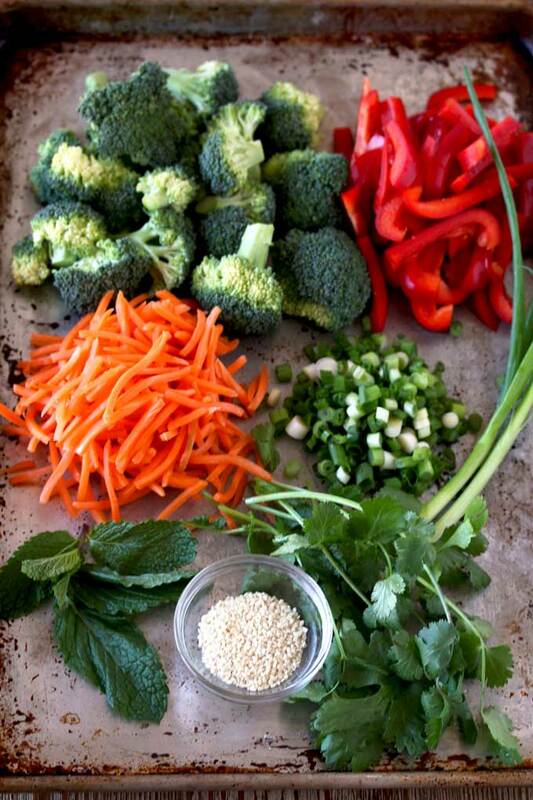 Add the red bell peppers, carrots, scallions, cilantro and mint. Toss gently to combine. Sprinkle with the sesame seeds and serve. I love “clean your refrigerator day meals! This looks super tasty and I need to do that so I’ll be making this for tonight! Those meals are always the best!! hahaha Thank you so much. Enjoy! This is such a fantastic meal idea! I especially love meals that are veggie heavy. Asian noodles make this perfect!